Oh gosh, I'm so glad it is all over!!! And I must say that you DO look fetching in that hospital cap! Yay, glad that is over, and an unusual complication for you. I have one scheduled soon. It's too bad you had that sore throat, but glad it wasn't more serious. I really had to giggle at the Pooh reference. Too funny! 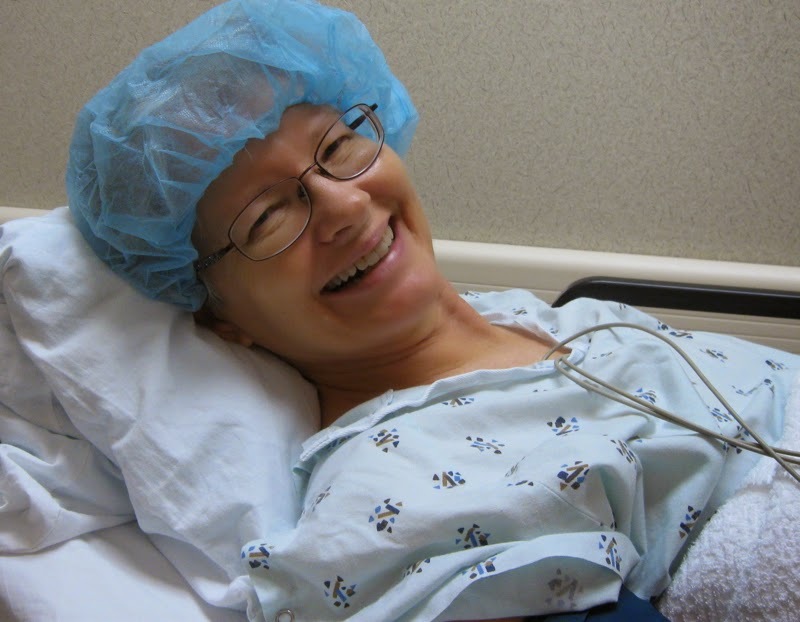 You look cute in your surgical attire and such a big smile after all the "prep" that went into this occasion. :) Glad all is well now!! But what are colonoscopies for but to make us miserable? I know they are important, but bah humbug! I am scheduled for another endoscopy in September. Although this is the camera capsule version, I still have to go through the beforehand prep. This procedure looks at my small intestine and goes where no one has gone before. Happy to hear your throat is recovering thanks to pizza guy. That you can smile after a night of prep is amazing though I am sure "Pooh" helped. So glad that you checked out OK but that throat business would have concerned me. They had no explanation?? Maybe a reaction to the anesthesia?? Hopefully that is completely past you now. My friend is having hers today. It's the prep that's the worst. (Well - except for your sore throat afterwards.) 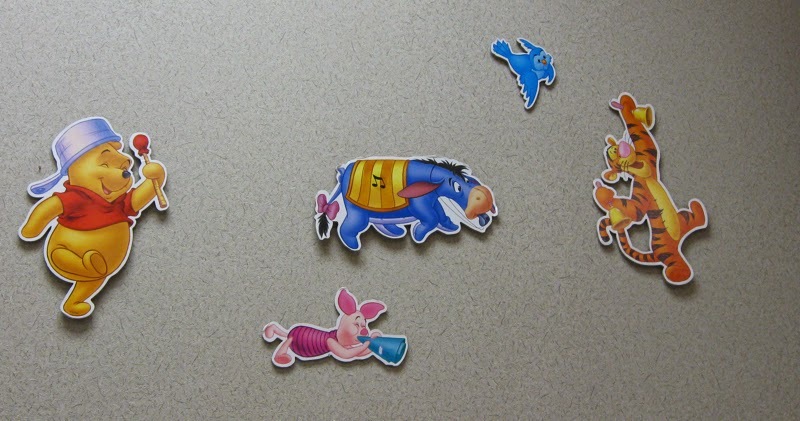 Someone with a funny sense of humor put Pooh in charge! 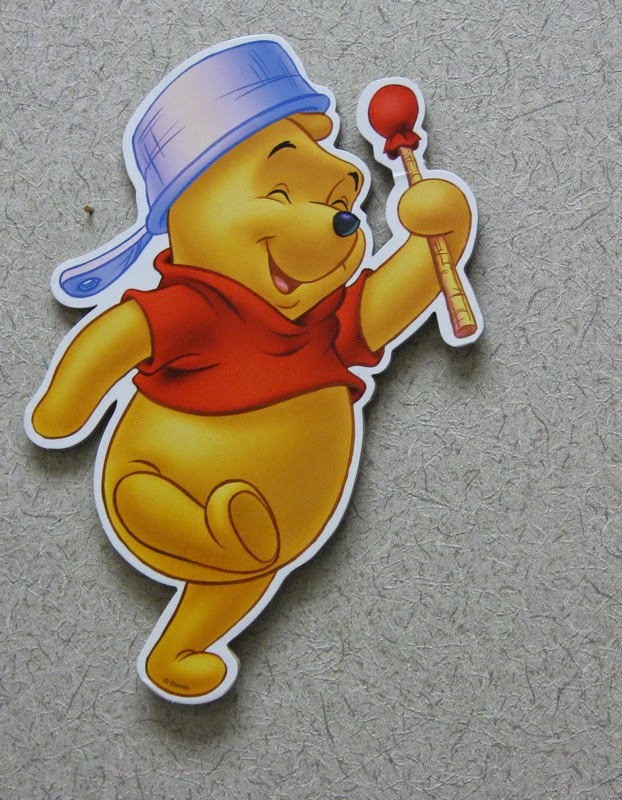 Yes,'Pooh' is the perfect mascot for colonoscopy patients! It's good that you still had the energy to smile, following your day and night of prep:) Aren't you glad that's over?! Trust you are doing well now.